Andy and I moved into our bush home and started accepting fully inclusive guests in April 2017. What a ride it has been! Such a joy to finally have our own place to call home and to meet people from all corners of the globe, some old friends and many new too. We couldn't ask for more from this wonderful life we lead and thank you all of you for living it with us! Our staff have worked so hard over the past year and there are moments that have tested their tempers. Dominique, our wonderful chef seems to to be in a never ending battle with baboons, mouse birds and bush buck; all competing for a tasty nibble from the vegetable garden. The cottages guardians; Peter and Robert, continue the never ending battle to protect our growing yellow fever acacia trees from greedy elephants. They are professional fence repairers now! They are also rescuers of wildlife; Robert rescued three baby Guinea fowl from the river and safely returned them to “Mum” who was frantic. A few weeks later both Peter and Robert appeared at our door late at night with two adorable baby hares, as the jackal was hunting for dinner! Luckily mother hare survived and babes were reunited with her the following evening. It has been another very dry year in the Conservancy with lost of picturesque dust devils rolling across the plains. Days of black clouds, or even sporadic thunderstorms give us hope on occasion, and there has been some rain in areas around us but largely our little patch of bush remains dry and we all pray for rain. We look forward to April, which will supposedly mark the beginning of the rainy season, and despite the global changes in our weather pattern we remain hopeful. Early mornings in December were very cold with lows of 4°, so we have decided to give guests hot water bottles on the early morning game drives to cuddle and stay warm. We know that these magnificent creatures are a rarity, so although we don't encounter them on a regular basis anymore, there is one Painted Dog from the last pack that is occasionally seen by herself on Cricket Plain. We are part of the "Wild Dog WhatsApp," (embracing modern technology) so we are on the ball, up to date and looking forward to seeing more dogs in our neck of the woods this year. Silver backed jackals are by far the most common predator seen on most of the game drives. In the past year they seem to have suffered largely from canine distemper however, they are slowly growing in numbers again. Jackals, who mate for life, spend a fair amount of time in the early mornings and late evenings checking out their territories and scenting important boundaries. 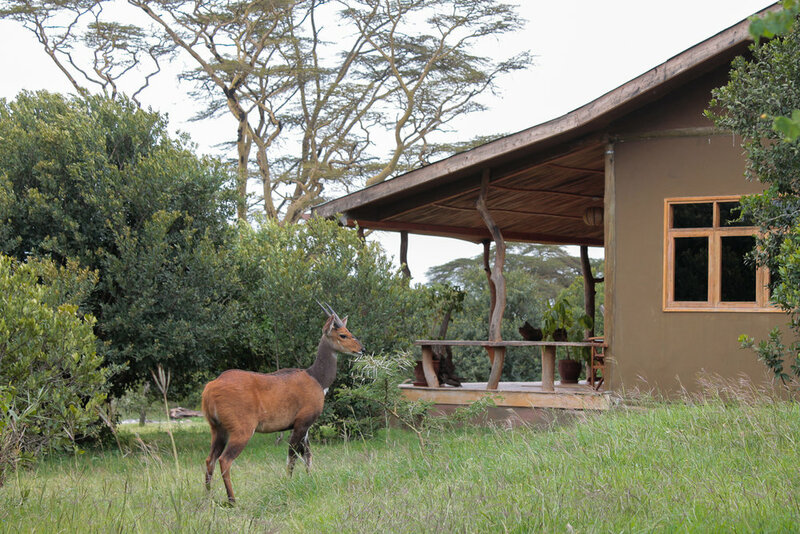 We have a pair who have claimed the Safari Cottages as theirs and the eerie call of jackal is unmistakable during the night. We have been lucky enough to spend some time with a lovely mum cheetah with two also fully-grown cubs. They often wander on the plains in front of camp and we welcome their presence with open arms! We have decided to call her Amani. We have also seen two cheetah boys wondering up around behind the cottages on the open plain. The more cheetah, the merrier I always say; I just love these magnificent cats. We are very fortunate to have a beautiful pride of 15 to 18 lions that wander the river around The Cottages, known as the Ngobit Pride. The pride has three different ages of cubs and they are all looking very fat and healthy. The main source of food for this big pride consists of buffalo – of which there is no shortage! As you can imagine it is rather hard work taking down a buffalo, but this awesome prides seems to have mustered the skill and technique. Although they are elusive, extremely shy and mainly nocturnal, we are well aware of the two leopard who live in the shadows of riverine on the Ngobit River. They often pass close to camp and send baboons into a noisy, panicked frenzy in the Acacias, but they are very rarely seen. The handsome big male with a black eye we have fondly nicknamed Tyson, and the beautiful female is called Necklace. We were lucky enough to see her and her cub a couple of times last year. Our leopard sightings are fleeting; taunting us with a saunter down the road and then casually disappearing into thicket. Like most cats they want attention but only when they ask for it; so just when we give up the search suddenly they appear and we remember how much we adore them. Even if we may only be permitted to do so from a distance. The population of elephants in the Conservancy continues to thrive and astound us; even now we see lots of new born calves running amok on the plains every day. As the conservancy is largely dry the herds have sought refuge at reliable water holes. Along the Ngobit River we are naturally blessed with greener pastures, so we have had enormous, beautiful families of pachyderms entertaining us on a daily basis. It should be known however that the askaris' are not as entertained, as fence repairs have become a daily chore! Both black and white rhino have been spotted consistently throughout the season. White rhinos are especially obliging and offer our guests a splendid photograph or two against Mt Kenya's backdrop whilst they enjoy their evening GnT's. It is fantastic to hear from Ol Pejeta the they have had 18 births last year to add to the rhino population. Onward and upward! 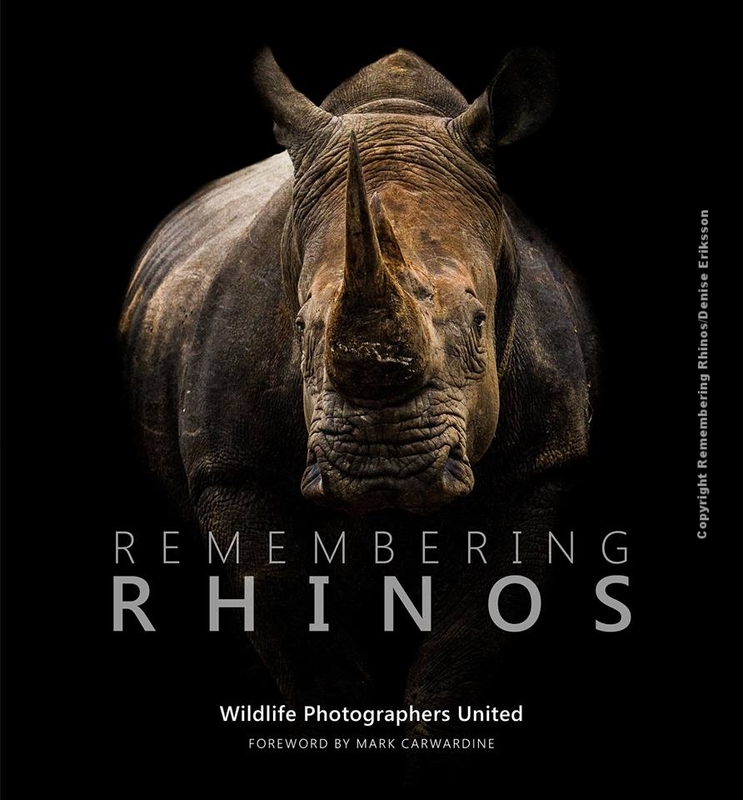 Maggot Raggett and Dan Richardson visited us at the Safari Cottage in December 2016, and the idea of Remembering Rhinos was born last year by them. A huge success, although not surprising after the fantastic success of Remembering Elephants. We are now happy to hear of the recent launch of Remembering Great Apes, all under their umbrella of Remembering Wildlife. Big herds of buffalo have been seen around the conservancy. They always appear to be very critical; beady, bloodshot eyes peering over wet black noses. To me they have the look of someone who has had a swarm of bees chasing them! Definitely one of Africa’s animals you do not want to mess with. Thomson gazelle, Jackson’s Haartbeest’, Waterbuck and Zebra are seen consistently across the conservancy. All the plains game seems to be very active very early in the morning, probably trying to get warm after a cold night, and by middle of the day they head to shade or mud pools to escape the heat and rest so that feeding can resume in the early evening hours when heat of the day has dropped. The stunning Reticulated giraffes have been seen wondering down to the salt lick in front of the platform, both male, female and juvenile mixing together and a lot of ‘’necking’’ happening between males. That's it for now folks, what an amazing year it's been and we hope you will join us into 2018 and beyond too! Make sure to follow us on Facebook and Instagram for occassional doses of travel inspiration, and sign up to our newsletter to keep abreast of special offers.